I took Caleb Pike's online course about the Panasonic G85 today. Then I shot some video. I've always had a soft spot for the micro four thirds cameras. Above is an EP-2 with a favorite, old Nikon lens on the front. Caleb Pike has a course about shooting video with the Panasonic G85 on the at DSLRVideoShooter.com and my friend, Frank suggested that it would be a quick way to come to grips with the operation of my new G85 so I paid my $19, pulled up comfortable chairs for me and Studio Dog and we spent a good portion of the afternoon watching a nicely produced and informative presentation that makes me comfortable with the operation of the device. It's not a lot different than the fz2500 and that's a nice thing because there's a lot of comfort in familiarity. Since I bought the camera, in large part, to do video work I decided, after watching Caleb's video, that I should practice with the camera so I loaded a new battery, set the camera up (nearly) as suggested and started shooting trash video around the studio; mostly on a tripod but also some handheld. Here's what I have learned so far: The color straight out of the camera is more pleasing than that of my Sony cameras, but with Andrew Reid's recommended settings (EosHD.com) and the Sony's remarkable setting flexibility I can pretty much match the look of the cameras to each other. But, really, chalk on up to the Panasonic for nailing color at the most basic level. I also learned that, for video I may as well use the touch screen (even though I dislike them philosophically) because it makes life easier. It's also fun to touch the screen and shift focus without touching the lens---a lazy man's focus pull. I first tested the image stabilization (in video) with the kit lens (12-60mm) and all of the camera's I.S. prowess engaged. This includes sensor stabilization, lens stabilization and even electronic stabilization in camera software. Altogether they add up to a poor man's instant gimbal. One can handhold the camera for video clips with reckless abandon. It's in the same ballpark formerly occupied by my brace of Olympus EM5.2 cameras. The camera also has a fun, new trick up its sleeve when it comes to stabilizing older, manual focus lenses. When I put one of the older (non-communicative) lenses on the camera and turn it on a menu appears asking me if the lens is the same focal lengths as the camera's last adventure with MF lenses or if a new focal length setting is going to be called for. 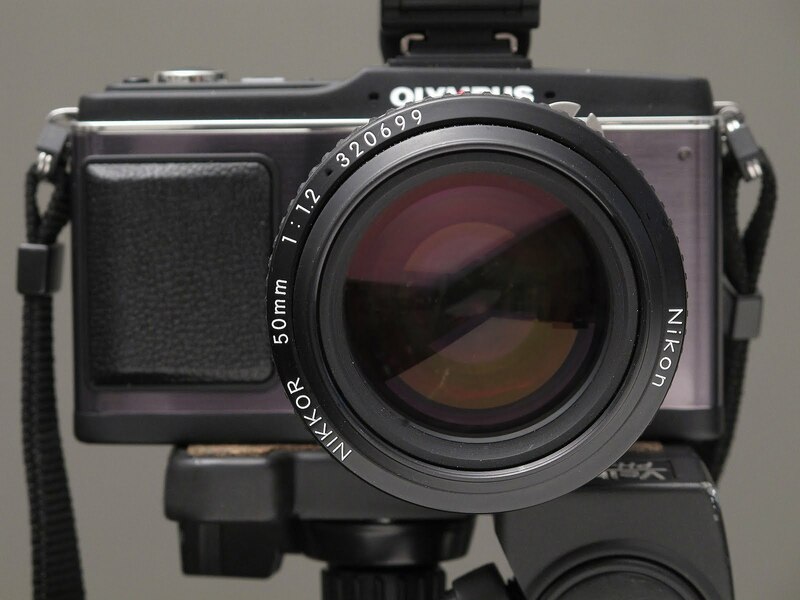 If you've changed to a new focal length, manual focus lens you have the option of inputing the F.L. right there. Nice. And "nice" is a good way to describe the performance of the system I.S. with ancient lenses. The feature works nearly as well as lens-based stabilization in other systems. Manual focusing is easy with this camera. I'm using the monochrome view for composition and manual focusing and the bigger viewfinder magnification, focus peaking and punch in magnification all work together to ensure that I nail focus with any manual focus lens I happen to put on the camera. I also like the AF, at least I do now that I have the custom range set to work just in the center of the frame. DFD focusing seems fast and sure with the kit lens. Moving on to audio. I tested the camera's audio capability by attaching a Saramonic SmartRig+ to the camera's microphone jack, setting the audio levels to minus 12 and then using the gain controls on the SmartRig+ to accurately place levels for my tests. In this configuration the pre-amplifiers in the Saramonic are doing most of the heavy lifting and the combination sounds good, and nearly noise free. I used the SmartRig+ because I remembered that it has a headphone jack (no volume control) and it would allow me to at least monitor what the microphone was picking up and what kind of signal it was sending to the camera. I think that if I used the G85 as an "A" camera and was doing an interview I'd go for dual audio instead of flying deaf when it comes to monitoring what the camera is actually laying down in the audio tracks. It's pretty simple to use the Tascam DR60ii as a combination back-up recorder and pass through device to the camera. And the combination, as tested today, worked well and was also very low noise. I get that the lack of a headphone jack is supposed to propel us upward and into the purchase of a GH5 but I remembered that my Bolex Rex 5, 16mm movie camera lacked any sort of headphone jack either and we seemed to have made that work (in conjunction with a Stellavox quarter inch, portable tape recorder and a clapper...). I'm pretty sure I can make a useable system with the camera and something like the newly announced Sound Devices MixPre 3 mixer/recorder. The right hand grip of the camera is deep and voluptuous. I like holding on to it. To sum up: I liked the G85 well enough as a video camera to go ahead and order a nice cage for it and to carve out a little space in my camera backpack so I can take it along with me for a corporate video project in Oklahoma City next week. If you've had experience with sound input directly into this camera and you want to share please be sure to comment. I would love to hear your experiences. It was good to put the 40mm Pen FT f1.4 back on the front of a camera again. Nostalgic but actually very, very capable.